We are a professional Customized Furniture Manufacturer and have our own design and worker team in making display cabinet, glass showcase, display stand, display rack, booth, display kiosk, food kiosk, cosmetic kiosk, jewelry kiosk, cosmetic booth and related products. And almost all products can help to cover brand transmission, product display, product promotion, and point of purchasing vivid display service in terms of customer market terminals and the greatest benefit (or profit).Thousand of our kiosk/display stand/showcase, etc turned out to be practical, environmentally friendly, convenient with the cultural characteristics. Beside, our product are not only sold to the domestic market, but also wide foreign market (American, Canada, Europe, England, Australia, Middle East, etc. 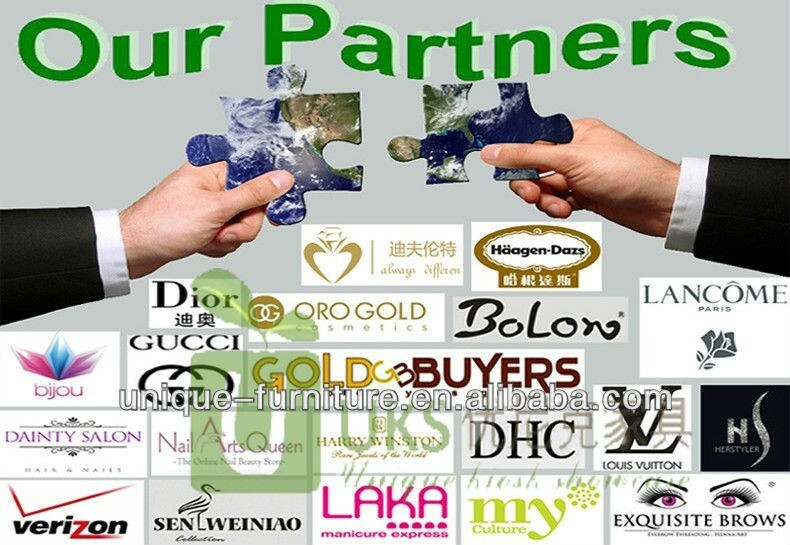 ),so choosing our company, you will get the high quality and popular products. Color : green and white . Shipment : by sea . As you see this frozen yogurt kiosk, size is 4m by 3m, about 2.2m hight, base material is MDF, surface is glossy paint finished, wooden cabinet, white corian work table, stainless steel skirting, stainless steel topping with glass cover , the back sides of this kiosk can put some machine, such as frozen yogurt machine ,coffee machine, fridge etc , if you have more ideas about this kiosk build, just contact us as below. 2. 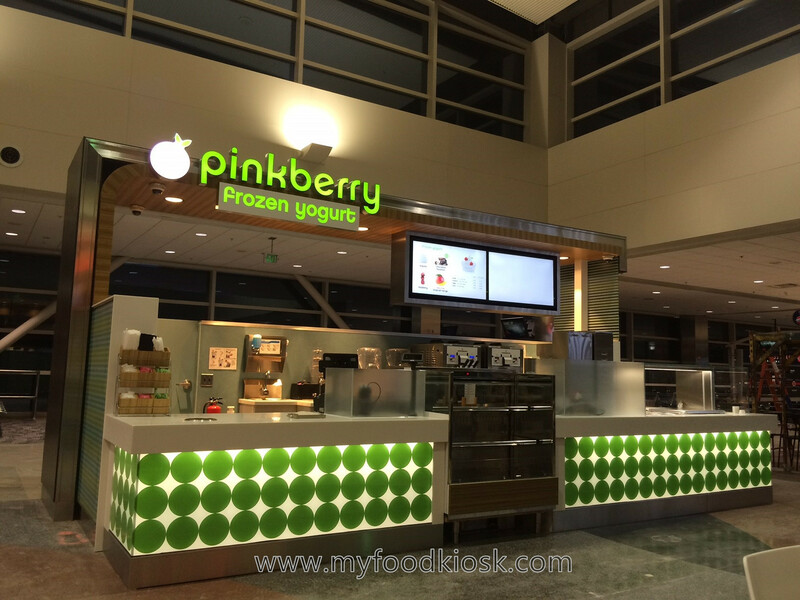 Why choose Unique of frozen yogurt kiosk? 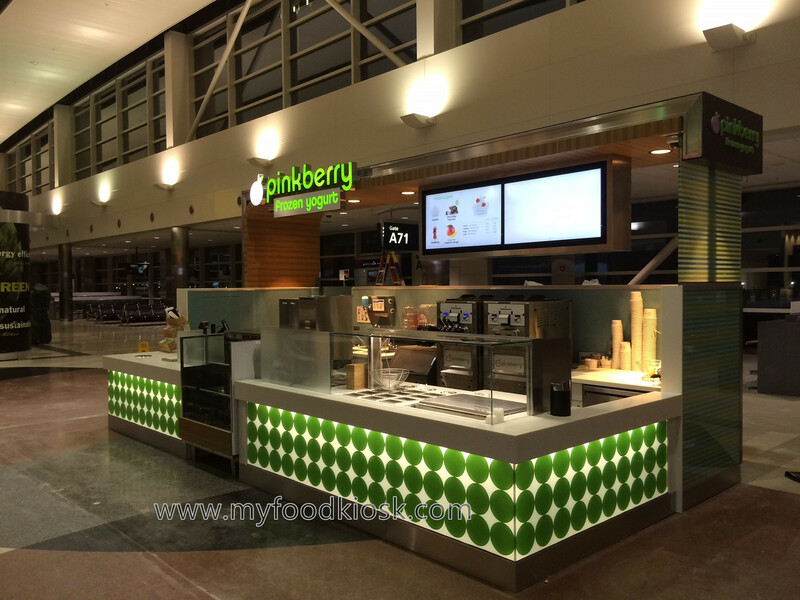 All of our kiosks and stands and other commercial furnituer Could be custom.all of the products are no stock.so we can build exact as your ideal design and function requirement. A.Small sample can be sent to customer,after the two sides to communicate. B.Sample fee can be refund according to the customer’s order. C.We have a big sample room so that customer can visit it. Our factory is service of the high quality Brands,so the quality of the products and the workmanship must be excellent. A.The products from raw materials to the factory,production products are inspected by QC. B.The goods are intact packaging before shipment. C.If their is any problem after received their goods, please contact us within 48 hours.we will deal with it properly. E.Confidentiality of customer’s design of the new products. be made according to the customer’s needs. No4. Tech:Steel is processed by powdering coating or painting. Stainless steel is mirror polished or brushed matte. No5. Customer design is welcome and appreciated. Both OEM & ODM are welcome. No6. Lead time: sample 3-5 days. Mass production: in terms of order quantity. The assembly steps are scientifically optimized . Spare parts are standardized and modularized..
Due to above conditions, the system can be easy installed, uninstalled, cleaned and displaced. EPE Foam inner packed , all around the product. . Bubble foam each side protected. 10mm MDF with 18mm plywood frame cartons.. 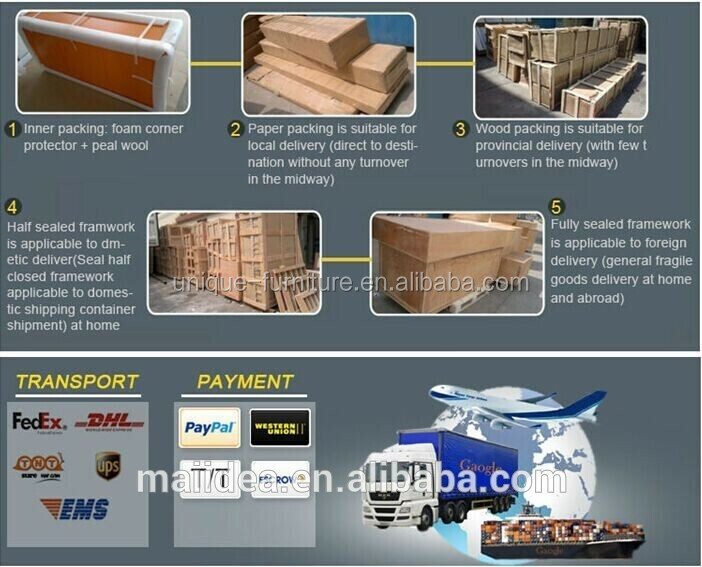 Paint the marks on wooden carton..
All steps are designed for safe protection and long distance transportation. We will order shipment insurace for all order, the insurace is free. Dear customer ,Their are only several steps as below diagram for your reference . 1-You need to contact our sales to discuss your specific requirement regarding the kiosk design . 2- Our design team create and revise the design according to your comments. 3-We sign the contract after the design has been approved . 4-You need to pay deposit . 5- We building kiosk according to the approved drawing of kiosk design . 7- We make package . 8- You arrange the balance . 9- Shipping . 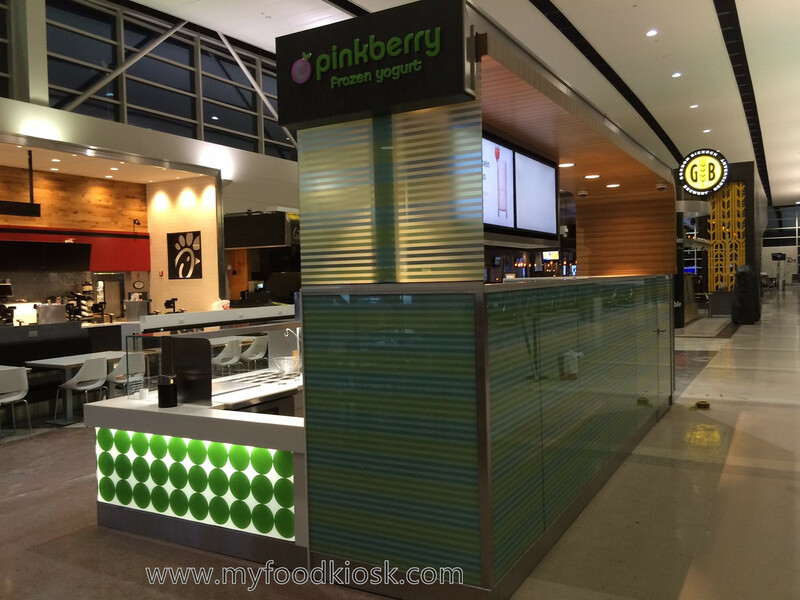 We can send the kiosk to your mall if you want . 10- We provide technique guide service forever and replaced accessories for 3 years. Thanks for your time, if you interested to know more details about this frozen yogurt kiosk , pls feel freely to contact me. Lisa aways here, warm welcome visit our factory.